I’m currently working on the caves and I’m not satisfied with how they currently look. The problem is where the floor meets the walls. Bevel won’t work because it is lighted. So one Bevel will be darker than the other and then they cave walls won’t match when you rotate them. 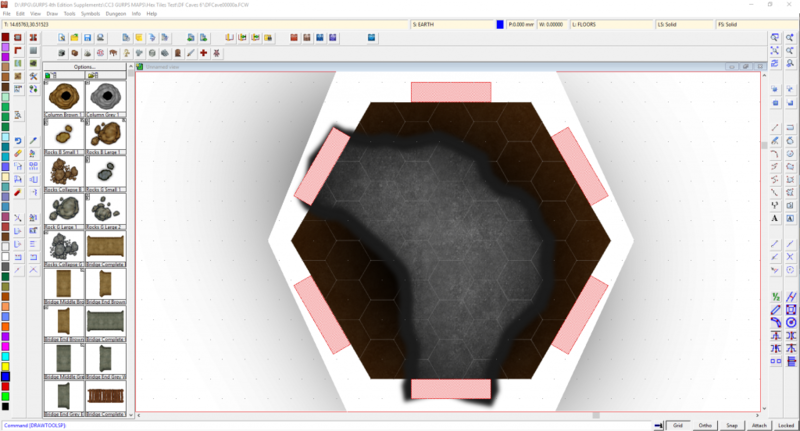 Because it is six sides I can’t really do multiple walls and change the lighting dynamics. Not only does that require an extreme amount of work (like crazy amount) it still will be a problem with some of the cavern options. This is kind of what it is gong to look like. Mind you I’ve added no detailing to the cave floor. My focus is on the wall effects. I want to offer the same background texture as the dungeon Battle Tiles that way they will match seamlessly. I will make transition tiles as well. As for professionally getting these printed I think I’m going to make them into A1 or A0 posters and hand cut and mount them myself. 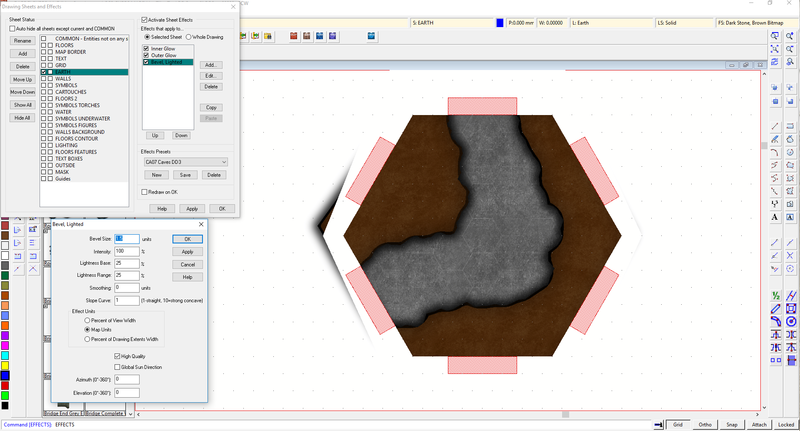 This entry was posted in Geomorph, GURPS, Maps and tagged Battle Tiles, Geomorph, Geomorphs, GURPS, Hex, Hexes, Map, Maps, Terrain by Highland_Piper. Bookmark the permalink.